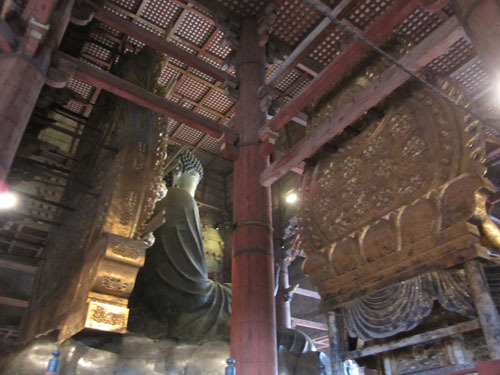 We can round in the circumference of the great image of buddha, and can see the back figure. It is permitted to us to take the photograph in precincts though it is specified for the national treasure. How large the mind is also ! We visited Nara of autumn. 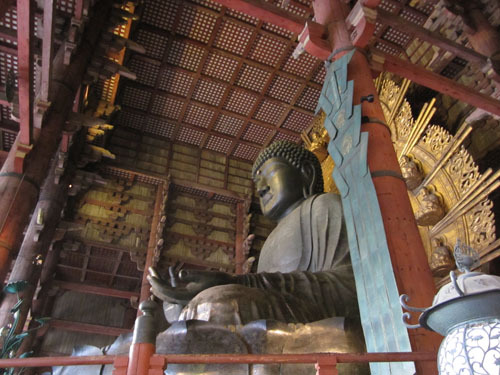 The photograph is a great image of buddha of Todaiji Temple. 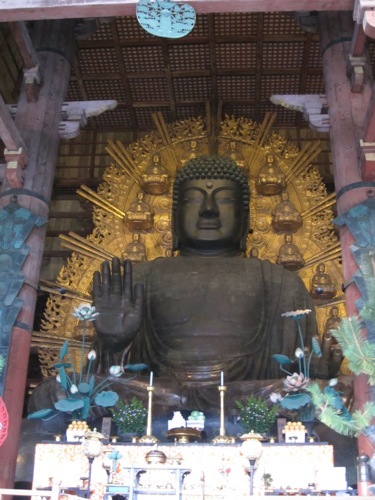 The great image of buddha and the building also have power very greatly.